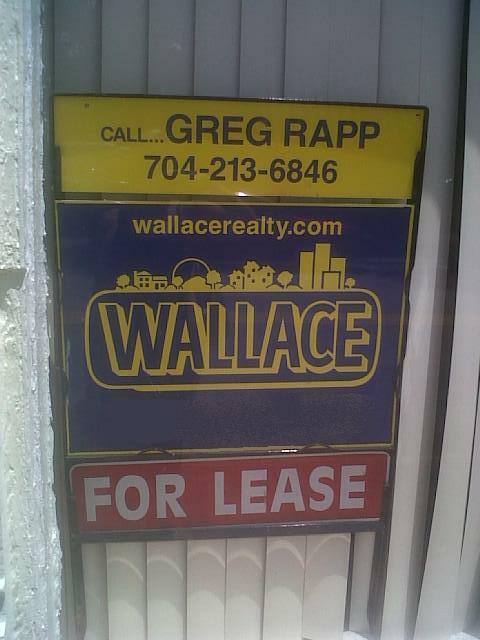 Salisbury, North Carolina Real Estate: Office Space Available Near Rowan County Courthouse ~ $450/month! Office Space Available Near Rowan County Courthouse ~ $450/month! 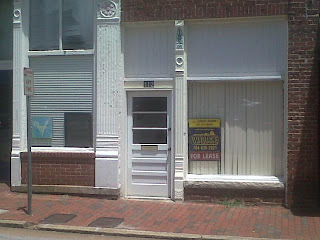 Need office space in the heart of Downtown Salisbury? Nestled in a historic building just a block from Main Street and the Rowan County Courthouse, 112 E Council Street in Salisbury, North Carolina, has 750 square feet of commercial space divided into two small offices, a reception area, and a single bathroom. This brick and iron façade space is within walking distance to city and county offices, and courthouse. 112 E. Council Street is around the corner from the City of Salisbury’s new ‘one-stop shop’ for permits, licenses, and plan approvals for people who want to open or expand a business in Salisbury. Located at 132 N. Main St. on the first floor of the City Office Building, the new hub opens this fall and will include planning and zoning, business licensing, engineering, water and sewer utilities services, as well as the fire marshal. The one-stop shop will help owners and developers navigate the design review and permitting processes. Among other services at the one-stop shop, people can request rezoning and special use permits, get a business license, and undergo review for site plans and construction documents and blueprints. The lease for 112 Council Street is a mere $450/month, quite unusual for office space in such a prime location in the heart of the downtown historic district, near shops, art galleries, restaurants, and many legal offices. Current neighbors are an antiques shop, a computer-repair shop, an architect office, a popular Chinese restaurant, and several legal offices. The Salisbury Police Department is around the block. Location ~ Location ~ Location! 112 E. Council Street is around the corner from the City of Salisbury’s new ‘one-stop shop’ for permits, licenses, and plan approvals for people who want to open or expand a business in Salisbury. Located at 132 N. Main St. on the first floor of the City Office Building, the new hub opens this fall and is to include employees from planning and zoning, business licensing, engineering, water and sewer utilities, and the fire marshal. The one-stop shop will help owners and developers navigate the design review and permitting processes. Among other services at the one-stop shop, people can request rezoning and special use permits, get a business license, and undergo review for site plans and construction documents and blueprints. Incorporated in the 1750s, Rowan County has today an estimated population of approximately 134,000 residents and it is located adjacent to Davie, Stanly Iredell, Davidson, and Cabarrus Counties. The City of Salisbury, home of more than 34,000 people, is the county seat. Rowan County envelopes eleven cities and fourteen townships in this territory of more than 520 square miles, including Kannapolis, Faith, Rockwell, Atwell, Spencer, China Grove, Morgan, and Unity. The population of the City of Salisbury, according to the U.S. Department of Commerce Census Bureau, has grown by over 27% since the year 2000, outpacing general State of North Carolina population growth by nearly 9%. If office space in an unbelievably prime location at only $450/month is what you’ve been looking for, contact Greg Rapp at Wallace Realty today ~ 704.213.6846. You won’t be sorry! You can't get an office in this prime location for such a reasonable price or $450 per month, you can surely get a lot of new customers and can also build up business relationships.